PCB Librarian Service - We build your PCB Libraries. 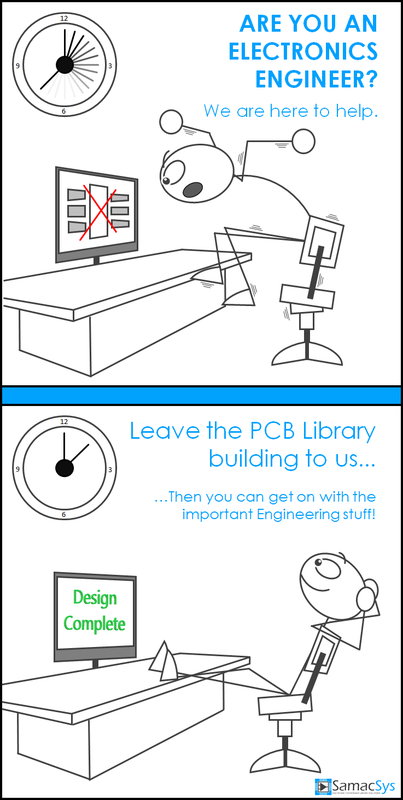 PCB Librarian Service – We build your PCB Libraries FOR FREE! Since EDA tools became available decades ago, there has always been an issue with PCB Component libraries (Symbols & PCB Footprints). There hasn’t previously been a reliable provider of high-quality, current ECAD models for Electronic Components. Therefore Electronics Engineers have had to build Schematic Symbols & PCB Footprints themselves by painstakingly extracting info from Component datasheets. This process is very time consuming, error prone and often delays products reaching market. What’s more, Engineers hate doing it! They are valuable, skilled resources and should be designing electronics, not creating CAD models. This industry inefficiency costs your company time and money, Until Now…..
1 – Find the part you want CAD models for. 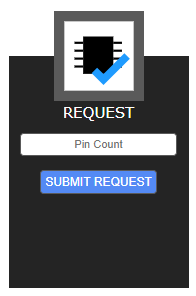 2 – Enter the pin count & Click ‘request’. 3 – We do the rest! How much does it cost? IT’S FREE! We allow our users to request the CAD models they want and our team of in-house engineers will create the Schematic Symbol, PCB footprint and in most cases the 3D model FOR FREE! Every part goes through a multi stage checking process that ensures the highest quality ECAD Models. Since January 2016 our average turnaround time has been less than 8 hours and in most cases much faster. Becoming a user of this service will revolutionise the way you work, as it will free up time to concentrate on your actual Design effort. See how we can help you streamline your PCB Design process. With over 230,000 registered users, from hobbyists to well known brands, we are the largest service of this kind in the world. Basically we are well ‘tried and tested’!